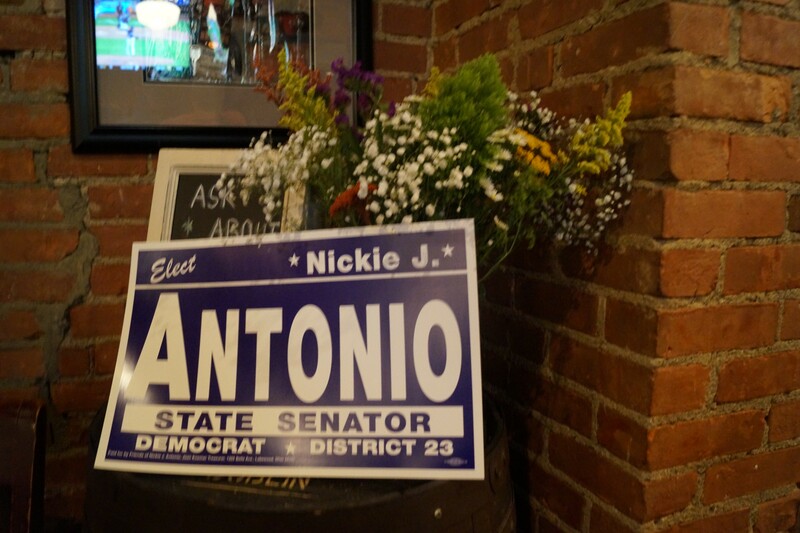 A Nickie Antonio campaign sign at Deagan's in Lakewood, (Primary Election Party: 5/8/18). The race seesawed all night. 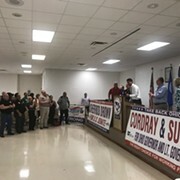 With 17 percent of the Cuyahoga County ballots counted, State Rep. Nickie Antonio led State Rep. Marty Sweeney by a little more than 100 votes for the State Senate Seat in Ohio's 23rd District, which includes the west side of Cleveland, Lakewood, Parma, Brook Park, and Middleburg Heights. Both Antonio and Sweeney have vacated their house seats — Antonio due to term limits, Sweeney to step aside for his daughter. With 41 percent reporting, Sweeney had leapfroggred Antonio, taking a 200-vote lead. Fifteen minutes later, 55 percent of the votes were in and Sweeney's lead had grown to 400 votes. At Deagan's in Lakewood, where Antonio's campaign and supporters had assembled to watch live updates, most of the grumbling was about the pace at which the Board of Elections was managing to tabulate the results. Antonio herself was upbeat. She told Scene that whichever way the evening turned out, she was satisfied with how she ran her campaign. "I actually ran a campaign," she said, "and I ran on issues." The comment was in reference to Sweeney, and the negative tenor the race had assumed during its home stretch. City councilman Matt Zone, State Rep. Candidate Mike Skindell (who would later defeat Tom Bullock in the District 13 house race), and Lakewood City Councilman Dan O'Malley were in attendance at various points throughout the evening. With 63 percent reporting, Nickie climbed back on top, leading Sweeney by nearly 50 votes. Just before 11 p.m., 75 percent of the ballots had been counted. Sweeney was now on top, leading by an impossibly slim 10-vote margin: 10,863 to Antonio's 10,853. Then the Lakewood votes arrived. Antonio took a commanding lead after 11 p.m. and never lost it. Final votes from the outlying precincts of Middleburg Heights did little to undercut Antonio's Lakewood hometown clout. With 99 percent of the votes counted, Antonio's victory is guaranteed. She leads Sweeney 14,980 to 12,429. Speaking to Scene later in the evening — past midnight — Antonio said she took her victory as a sign that people want representatives who they feel reflect their values, and representatives that they know will fight for them. Having not received the endorsement of the county Democratic party, she said she was inspired by voters who recognized that they had a choice, and that candidates don't need the backing of a party machine to be successful. "I felt so good about the fact that after I didn't get endorsement, people told me they were shocked and outraged. What they decided to do was take two steps in and run for precinct committee people. If that's the silver lining, that's good." Antonio said her team of more than 100 volunteers ran an "old-fashioned" campaign, complete with house parties, door-to-door canvassing, and hand-written postcards. "We did the hard work," Antonio said. 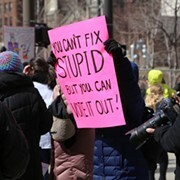 "And people were energized. People were involved. So this isn't just a win for me. 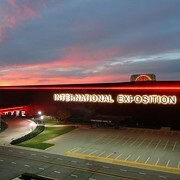 It's for all the volunteers." Finally, Antonio said that though she's been wearing blue throughout the campaign, she wore a pink shirt Tuesday night, a color which she said was intentionally symbolic. "The girls won," she said. "I believe that women really came out strong, along with all people, including those from marginalized communities, who know that I'm going to fight for them." Antonio reminded Scene that not only is she now the first openly gay representative to serve in both the Ohio House and the Ohio Senate, she is now the first woman to occupy the state senate seat in District 23.